It’s a new year and time for another #ue4jam! Unreal Engine’s quarterly game jams bring developers together for five days to craft a unique game, putting their creative and technical abilities to the test. 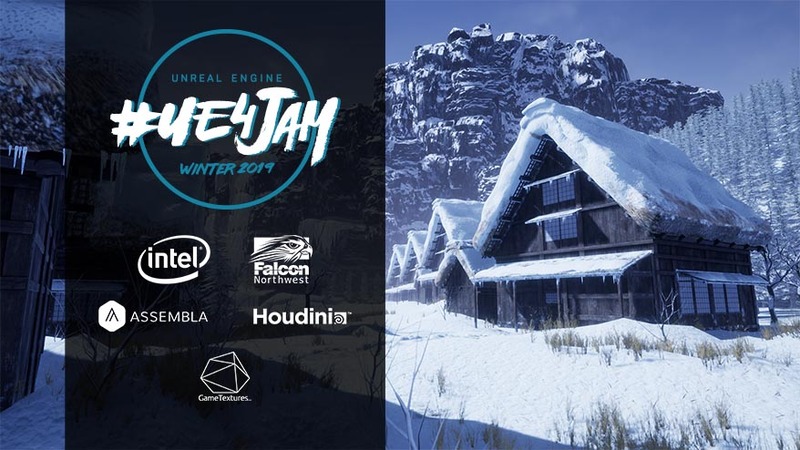 The Winter #ue4jam starts on Thursday, February 14 at 3PM EST. The theme will be announced at the end of our weekly Unreal Engine livestream, viewable on Twitch, Facebook, and YouTube. Keyboards down will occur on Tuesday, February 19 at 11:59 PM EST, after which no more submissions will be permitted. Once all the games have been reviewed by the judges, the finalists will be announced on the March 7 livestream. The judges awards points in three categories: fun, visual aesthetic, and unique use of theme. The top three finalists will be awarded great prizes from our generous sponsors, including Intel Software, Falcon Northwest, SideFX, Assembla, and others. Join the jam today on the official Winter #ue4jam Itch.io page and keep your eyes open for more sponsor and prize announcements to come!